1、混和:五香粉、海盐、辣红椒粉放入碗里混合均匀成腌料. Mix following into a bowl: five spice powder, salt, red pepper powder. 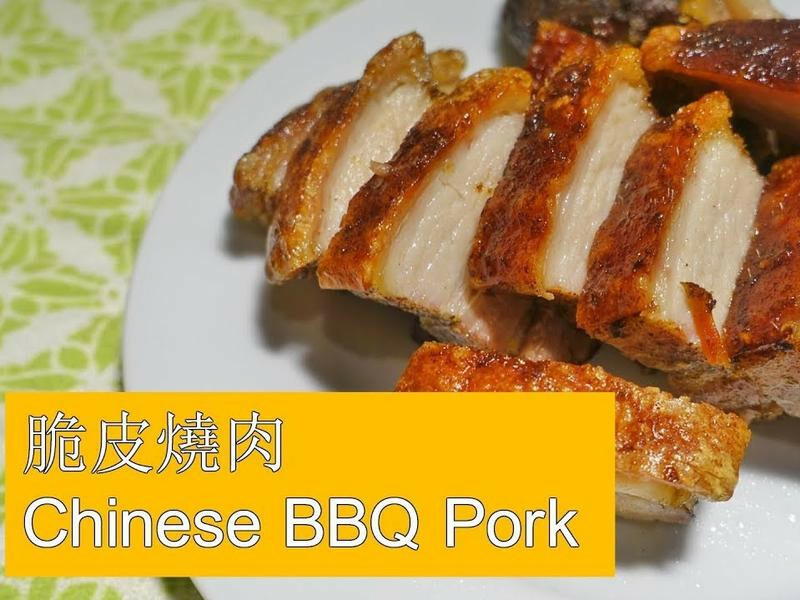 3、猪五花抹上米酒，再抹上腌料．Rub rice wine onto the pork belly, and then rub the powder mixture on the pork belly as well. 4、用铝箔纸把四周包起来(露出猪皮).放入冰箱冷藏一晚．Wrap the pork belly using aluminum foil (leave the top open) and put into the refrigerator for the night. Put pork belly into the oven and cook for 30 mins. You can dump the excess oil. Then turn the heat down to 375 F/190 C and cook for another 20 mins. 7、切的时候要从猪肉那端切也就是底部切,表皮太脆很不好切．Slice the pork from the bottom up because the skin will be too crispy it will be very hard to cut.